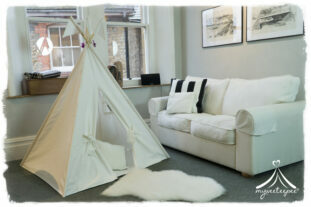 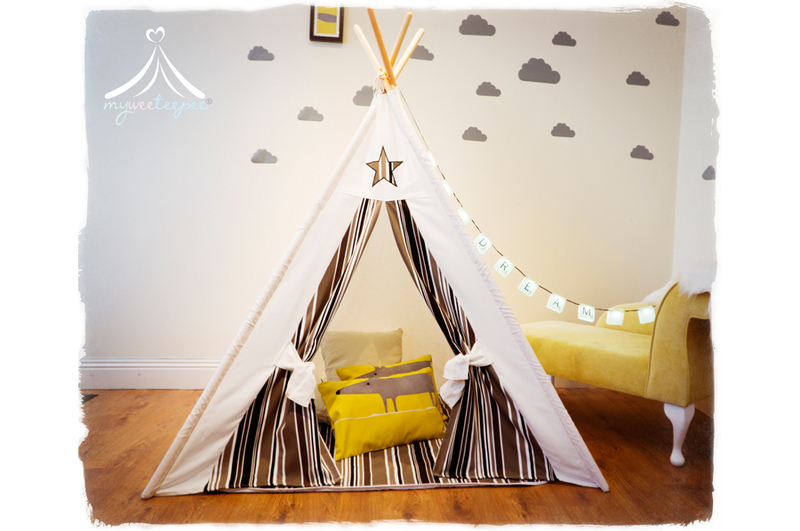 The stunning Cosmo Teepee, Play Mat & Bunting Set is the perfect place for children to play and makes a cosy den when quiet time is needed. Why not surprise your little one with this fabulous teepee set – the design is contemporary with a fabulous grey and black stripe design and striking star detail that will suit both girls and boys alike. It is really quick and easy to assemble and is portable and lightweight so easy to pack away or take into the garden to create a fabulous outdoor den when the weather is dry. 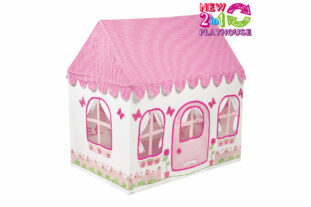 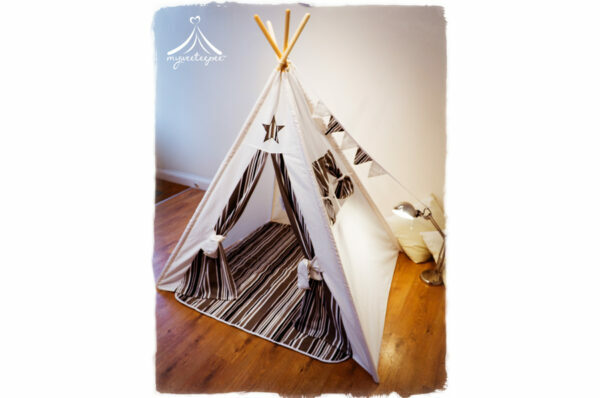 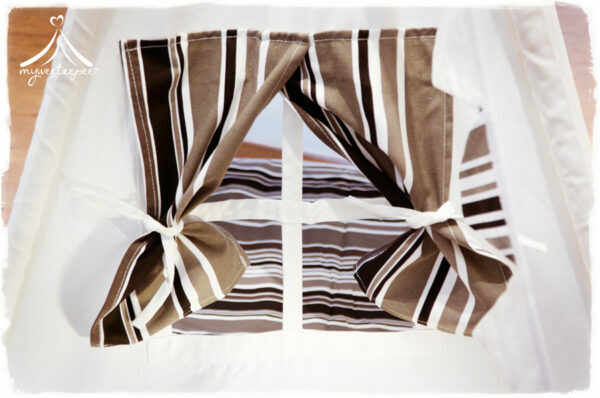 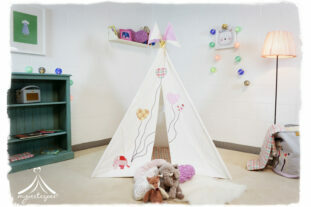 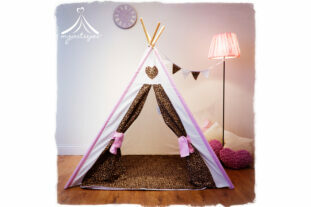 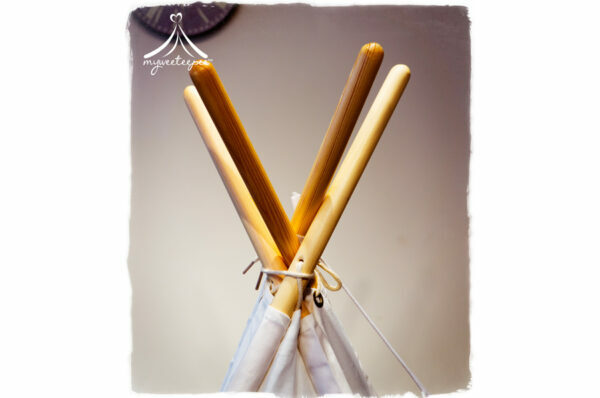 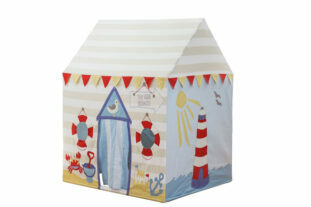 All in all this high quality Teepee Set has lovely details and features such as a curtain at the window, tie back sash doors, a play mat and bunting. 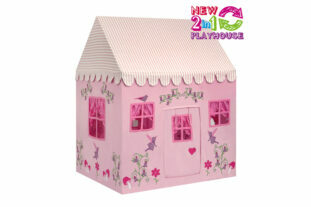 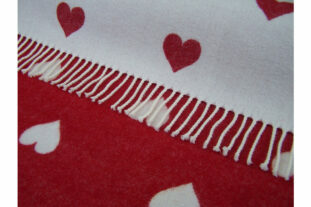 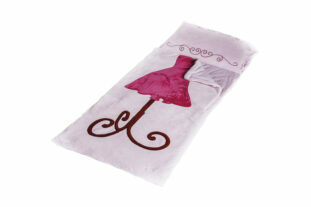 It is bound to make someone very happy and offers hours of fun.